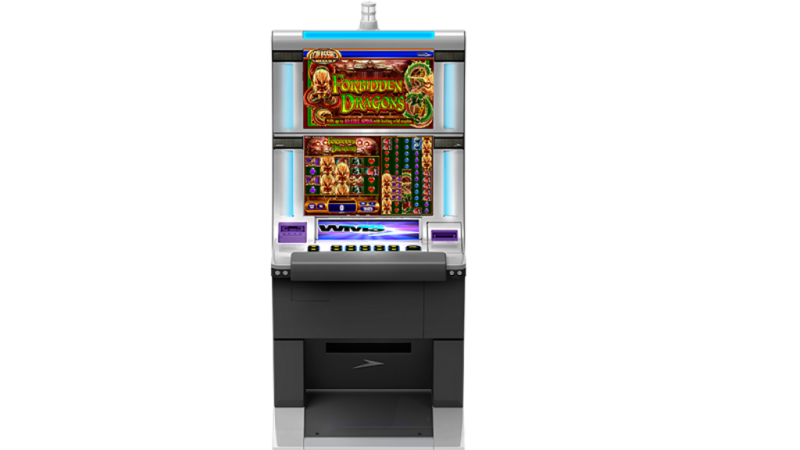 Forbidden Dragons slot comes to you from WMS, based on an ancient Chinese theme as you probably imagined. The main stand out feature in this slot is the fact that it has two sets of reels, a 5×4 set which is fairly standard, and a whopping 5×12 set on the right. These combine to give a massive 100 pay lines, with additional bonuses such as 5x pay out on the colossal reels during free spins, and the chance to expand Wilds onto the colossal reels, but more on this shortly. The Yin Yang symbol serves as a Wild for all the above symbols, substituting for them in a winning combination. For any four of these stacked on the main reel sets, a symbol transfer will initiate and turn the corresponding reel on the colossal reel set into Wild. Pays will then be evaluated after the Wild transfer. When the line selection is available, a mystery pay of 4 credits times the bet multiplier may be randomly awarded on a spin when playing only 2 lines. Free Spins Bonus. The Free Spins Bonus in Forbidden Dragons slot is one of its standout features as the colossal reel set pays out 5x once initiated. To start the bonus, you need 3 or more scattered Gold Dragon symbols across both reel sets, which appear only on reels 1, 3 and 5 on both reel sets. 3 scattered Gold Dragons will award 8 free spins and 2x total bet, 4 Gold Dragons will award 12 free spins and 5x total bet, while 5 or more will provide 20 free spins and 20x total bet. Simpley press the start button to initiate the Free Spins Bonus. 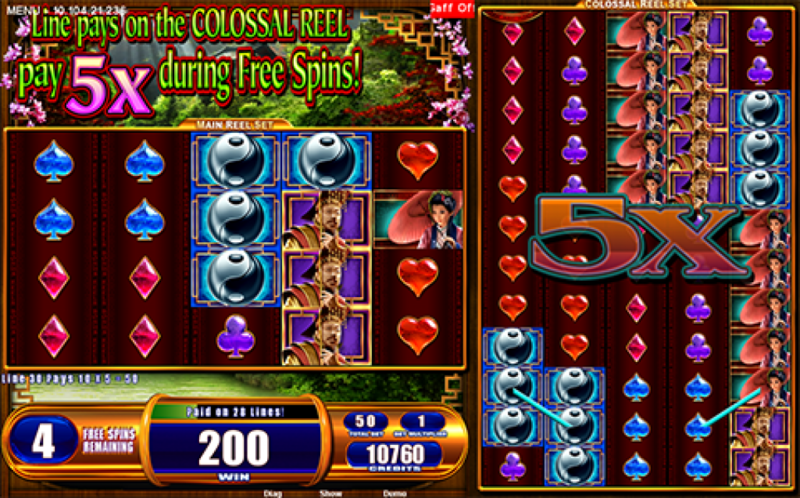 During the free spins, Wild substitutes for all symbols apart from the scatter symbol. 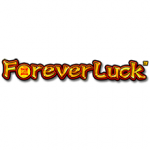 There’s certainly some potential for big payouts here, with up to 20 free spins available and big multipliers. The double set of reels certainly makes this game stand out and I think it’s quite refreshing. I think it’s a bit of a shame not to see some more bonuses in this slot, although that’s just my personal preference and many are probably just happy with the free spins which is clearly the focus of this slot. In all then, this is a really interesting slot from WMS with a fairly standard, but still enjoyable theme and some very interesting gameplay so certainly worth checking out. If lots of bonuses are more your thing, then you should check out Willy Wonka: World of Wonka slot.